For each way members can contribute to the site, there in turn needs to be some moderation. Those making consistently good contributions can be granted self moderation powers, and we are always looking for new moderators to help sort through what's been submitted to the site. Have a look at Admin Level for more info on who can do what. Click Approve or Reject to moderate. The idea is to select a filter - either by user or by character - then remove all the images that are unacceptable - then click the Approve All button at the top. 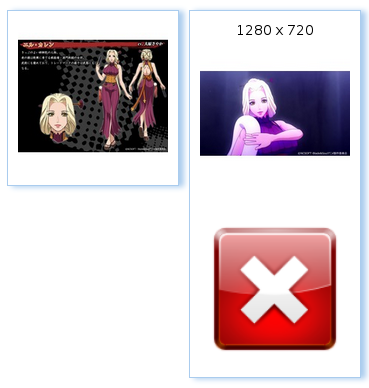 It is best to moderate images by character ID, as you can at least confirm the image was assigned to the correct character. reject under 200 and low quality images. The main image may appear in the list needing approval - just approve it. If by chance someone is approved by mistake, you will need a link like photo.php?type_id=1&imgid=102249 to delete it. This page was last edited on 24 March 2019, at 09:47.